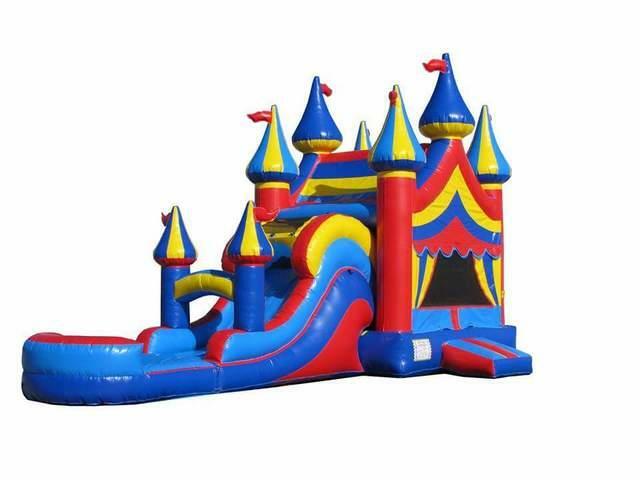 Bounce, slide, climb, and play a game of basketball in this large bounce house combo with dual lane slide. The fully netted and enclosed dual slide allowes enough room for DOUBLE the fun! What makes a 4 in 1? The combo comes complete with a full sized bounce house, inside basketball hoop, ladder, and 14 ft dual lane waterslide. Why settle for one slide, when you can have 2?